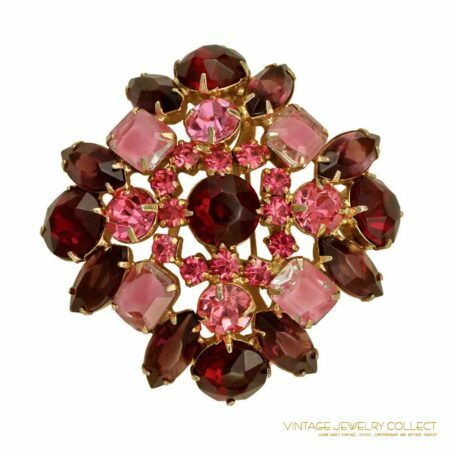 Description: Up for your consideration is this very dramatic Juliana (D & E) brooch set manufactured by Delizza and Elster. 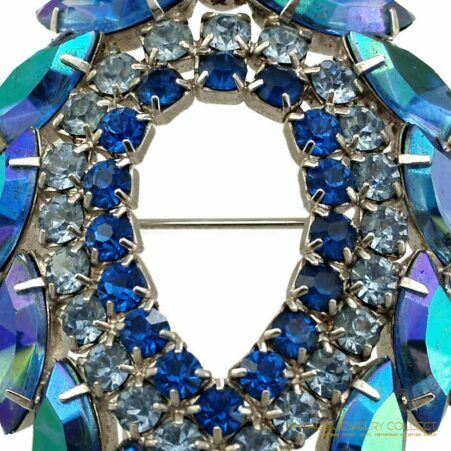 The brooch is designed with 5 rhinestone colors and open back navette stones giving this piece wonderful dimension. Additional raise “flower buds” give this piece fantastic depth.